This is my 13th year dancing with PTDT. Several years ago, I was inspired by the idea of ephemera, which was part of the theme of the concert we were working on at the time. I thought of an idea to create a sort of ephemera for each dancer in the company, except that I wanted it to be something that they could keep for their whole lives as a memoir of the concert, as opposed to something short-lived. For that concert, I gave everyone slips of paper that had poignant quotes related to the concert on them. Since then, I’ve created mementos for each of our themed fall and spring concerts that matches or compliments the theme. I also try to match each memento with each dancer’s personality, dance style, their passions, and favorite things if I know them (besides dance!). 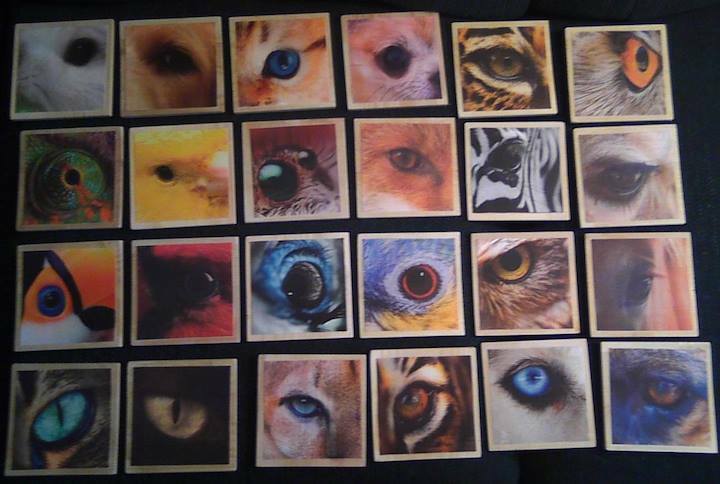 For this year’s fall concert, “Learning to See,” I created animal eye mementos for each dancer. I took this photo because I thought they looked very beautiful as a collage.